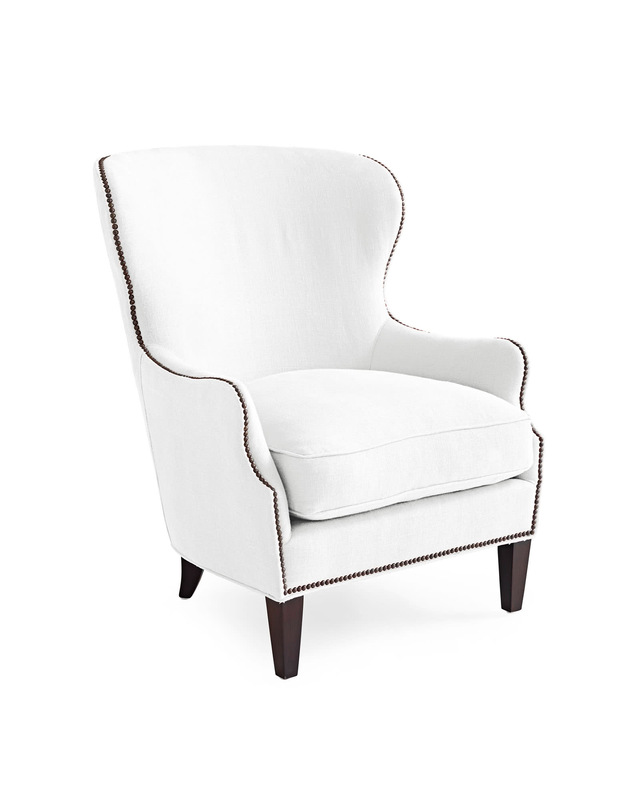 Thompson Wing Chair with NailheadsThompson Wing Chair with Nailheads, alt="Thompson Wing Chair with Nailheads, "
Print We’ve updated the classic wingback with clean lines and a rounded shape for a wonderfully modern look. Simple wooden legs add to its contemporary vibe. 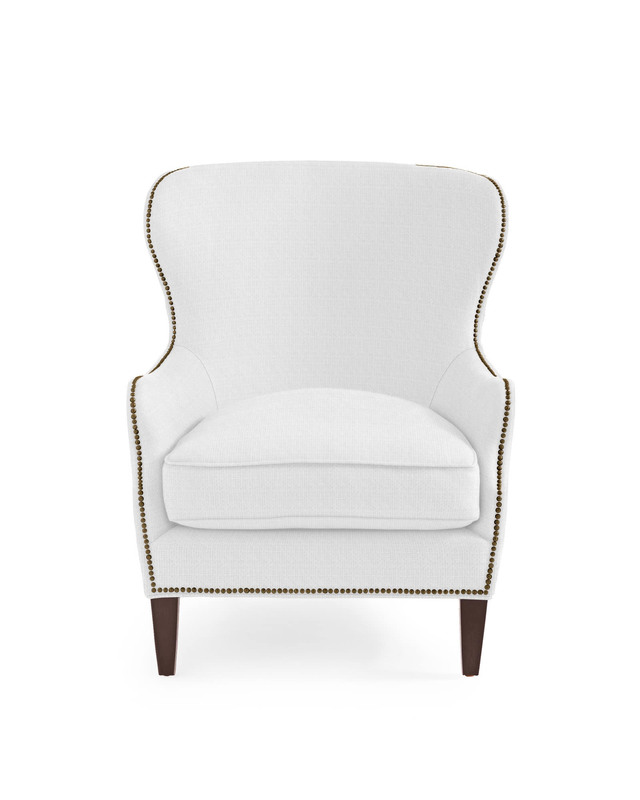 Historically designed as a comfy fireplace accent (the winged back was made to shield the heat), it now looks equally fabulous in reading nooks, bedrooms, or as a chic twist to traditional dining chairs. Seat cushion made of down-wrapped, soy-based foam, with coil springs embedded in the foam core for firm, long-lasting comfort. 30”W x 36”D x 40”H.